The world’s nations (through the UN) have already agreed to a 10-year framework to make the way we produce and consume goods more sustainable. This goal references that, but also covers topics like reducing food waste, corporate sustainability practice, public procurement, and making people aware of how their lifestyle choices make a difference. BCI works with almost 100 Retailer and Brand Members to integrate Better Cotton into their sustainable raw materials strategies and ensure there is global demand. BCI’s demand-driven funding model means that retailer and brand sourcing of cotton as Better Cotton directly translates to increased investment in training for cotton farmers on more sustainable agricultural practices. In the 2017-18 cotton season, BCI Retailer and Brand Members contributed more than €6.4 million enabling more than 1 million farmers across China, India, Mozambique, Pakistan, Tajikistan, Turkey and Senegal to receive support and training. The Better Cotton Leaderboard highlights the leading retailers, brands, mills and traders by volumes of cotton sourced as Better Cotton. 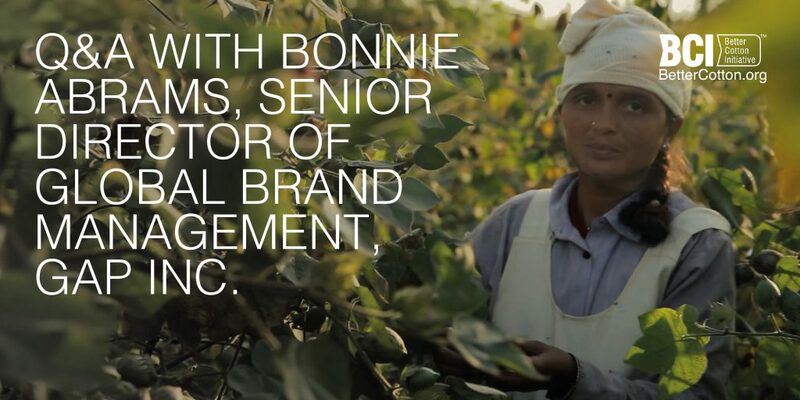 Through the Better Cotton Claims Framework retailers and brands can communicate about their commitments to supporting BCI Farmers to their consumers – raising awareness of BCI’s mission and aim. BCI’s long term vision is that Better Cotton production becomes embedded in national cotton governance structures. BCI is working with strategic national and regional partners – either governmental institutions or industry or producer associations – to build their capacity to take full ownership of Better Cotton implementation, eventually operating independently of BCI.